Although life may unfold in a fairly predictable manner, it is bound to throw you a curveball every now and then. Think about going to the produce section of your grocery store. When certain fruits and vegetables are in season, they cost much less than they do at other times of the year because there is such an abundant supply of them. On the other hand, those same fruits and vegetables, when they are out of season, can cost a lot more because there is a smaller supply of them, and they probably had to be imported from somewhere far. There are also times when the fruits and vegetables are in season but there aren't very many of them because it was a poor growing year that year, or a random disease attacked the crop. In cases like this, even though the fruits and vegetables are in season, they are still expensive. The Forex market operates in much the same way. There will always be typical, expected movements in the market based on economic shifts. However, there will also always be unexpected hiccups in the market, which you aren't expecting, that can adversely affect your investments. These market surprises are nothing you should be afraid of. They happen to everyone. Luckily, the Forex market offers you tremendous advantages in protecting your assets and investments. You will have to be disciplined and prepared, but you can handle anything in this market. 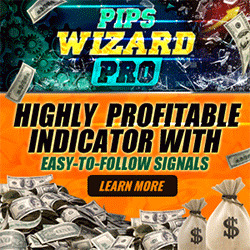 It is also possible for you to take advantage of the unexpected changes in the Forex market. All too often we categorize surprises and changes in the investment world as negative experiences. Certainly, most people were surprised and lost a lot of money when the dot-com bubble burst in 2000, but there were also a lot of people— who understood what they were watching for—who made a lot of money during the incredible rise in the stock market during the 1990s and held onto it. The same holds true in the Forex market. People may be surprised if the value of the U.S. dollar suddenly plummets, but those who understand and know what to watch for can capitalize on that movement and walk away with tremendous profits. A healthy dose of skepticism is a good—and sometimes essential— trait in today's world. We work in an environment in which most of the people around us are ardent stock and stock option investors. Almost every one of them with whom we have discussed the Forex market has asked us why they should get involved with it when they are already involved in the stock and stock options markets. They want to know if it is really as exciting as they have heard. As we explain our reasons and rationale, we are usually able to convince them to at least take a look at Forex. We don't win everybody over, and that's okay. The most exciting thing for us is that they are asking good questions. These are intelligent people who sincerely want answers so that they can make informed decisions. And we assume, since you are reading this book, that you are too. To try to help answer some of the questions you probably have, we have compiled a list of the questions we hear most frequently and our responses to them. If you still have questions after you're through reading this list, send us an e-mail at [email protected], and we'll respond to your questions personally. Why haven't I heard of the Forex market before? The Forex market has been readily available to retail investors for only the past few years. While banks and other large institutions have been taking advantage of the Forex market for many years, retail investors have had access to the market only since the late 1990s—and that access was extremely limited for the first few years. Not until recently has it become quite simple to enter and enjoy the benefits of the Forex market. Plus, a lot has changed in the past few years. 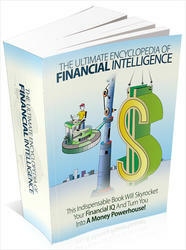 Accordingly, many of the Forex books that were written a few years ago are now out of date. Unfortunately for most retail investors, they were too preoccupied to notice that a tremendous new market had been made available to them. They were too worried about their stock accounts declining after the dot-com disaster to be looking at other investment opportunities. Plus, financial planners and stockbrokers didn't do much to promote the Forex market. Why would they? Most of them don't understand how the Forex market works, and it doesn't benefit them to tell you about it. Financial planners and stockbrokers don't make any money when you invest in the Forex market, but they do make a lot of money when you invest in the stock market; they make commissions. If you're looking for big-name credibility in the Forex market, look no further than the most famous stock market investor who ever lived: Warren Buffett. In Berkshire Hathaway's 2003 annual report to shareholders, Buffett explained, "During 2002 we entered the foreign currency market for the first time in my life, and in 2003 we enlarged our position, as I became increasingly bearish on the dollar." This turned out to be an incredibly profitable move for the company. In 2003, while Berkshire Hathaway made a pretax gain of only $448 million in common stocks, it made a pretax gain of $825 million in foreign exchange contracts. Not too bad for its second year of investing. Isn't the leverage in the Forex market too dangerous? Leverage can be extremely dangerous if you use it incorrectly. Anybody who tells you something different is trying to sell you something or doesn't truly understand what leverage is. With that said, you can eliminate excess danger by understanding and using leverage wisely. You do not need to use all of the leverage available to you to be profitable in the Forex market. The same concept applies to many things in our lives. Take electricity for example. By itself, electricity is extremely dangerous—to the point that it can kill you if you are not careful. But because we have learned how to harness its incredible power, electricity has revolutionized the way we live. We all know that there is a potential danger inherent in using electricity, but we use it anyway because we are confident that we have set up the appropriate safeguards to prevent us from being injured. The same holds true for the available leverage in the Forex market. Earlier in the book, as we were discussing the advantages of the Forex market, we mentioned the concept of guaranteed stops. Stop orders allow you to specify the exact price at which you would like to exit a trade. It doesn't matter if you are using a lot of leverage or just a little bit of leverage; you can specify exactly where you want to get out with your stop order. 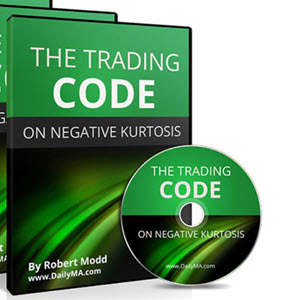 And it doesn't matter if you want to risk a few hundred dollars in your trade or a few thousand dollars; you can set your stop order to take you out exactly where you want to exit the trade. You are in complete control. Leverage is a great tool for accumulating wealth. And just like any other tool, you need to know how to properly use it to be effective. Don't be afraid of it. Learn about it. Figure out what it is and how it works. Then see how you can apply it in your investing to take full advantage of it. Don't you need to be an economist to make money in the Forex market? You do not need to be an economist to profit in the Forex market. This is a common misconception. All you need is a basic understanding of a few simple concepts and a lot of common sense. In fact, it's much easier to follow the news that is affecting the Forex market than it is to follow the news that affects the stock market. 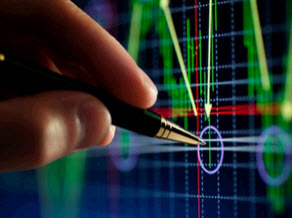 To fully understand and analyze all that is happening in the stock market, you need to have a solid grasp of financial accounting, and you need to follow all the earnings and news releases posted by the companies that comprise the stock market, the analysts who dissect the stock market, and the government agencies that regulate the stock market. To fully understand and analyze the Forex market, all you need to do is read the newspaper and watch the evening news. The same events that affect your daily life affect the Forex market. If you are paying attention to the world around you on a daily basis, you are tuned in to what is affecting the Forex market. Certainly, you need to know what you are looking for to truly make money, and we are going to get you started in your Forex education. You don't have to be looking for a lot. You don't need to learn any new calculations. You just need to learn some basic cause-and-effect scenarios. Anyone can do this. Don't you have to be rich to invest in the Forex market? The Forex market is surprisingly inexpensive to get involved in. When you're investing in the stock market, most brokers require you have a minimum investment of $2,000. You have to have that much money invested with the firm to make it worth it for the broker to take on your account. It's different in the Forex market. Thanks to the wonderful leverage you enjoy in the Forex market, you can open an account with as little as $250. Having more money to begin with is always a nice advantage because you can make more money if you have more money. But let's face it. We don't all have a lot of money. We would, however, like the money we do have to be working for us. Reasonable Forex investors are not going to turn their $250 into $25,000 overnight, but they can get started. For those of you looking for a specific recommendation of how much to get started with, we believe that you should open your account with at least $2,500. Starting with less than $2,500 seems to make people a bit too cavalier in their investing because they figure they can afford to lose the small amount they put into their accounts. And we have seen too many traders blow up several $500 accounts when, if they would have just waited until they could start with a larger account, they would have taken their investing more seriously and been more conservative. Join the crowd. Nobody seems to have a lot of time these days. And what time we do have available seems to come at different times for different people. Some people are available during the day. Some are available at night. Whether you're a morning person or an evening person and whether you have only a couple of minutes per day or a couple of hours, you can make the Forex market work for you. The Japanese yen, Australian dollar, and New Zealand dollar are all great currencies to trade during the evening hours in the United States because the sun is just rising on all the economies these currencies represent. Usually, the market is busiest for a particular currency when the economy represented by that currency is awake and running. Most of the news that will affect a currency will be released during the country's business hours. For the morning people among us, the British pound, Swiss franc, and euro each provide excellent opportunities to make money. In the early hours of the U.S. business day, the economies and businesses in Europe are still up and running—which generates a lot of activity in the Forex market. This is especially true for the U.S. dollar versus the euro. The currency pair of the U.S. dollar and the euro is the most heavily traded currency pair in the world. So when both the European and U.S. markets are open, this pair is bound to be moving. Once you have asked all your questions about the Forex market, it is time to get involved and learn more. Is the Forex market perfect? Of course not. Nor is any other financial market. But the Forex market comes closer than any other market out there. We want to prove it to you. We're serious about your asking us questions. We want to address any concern you may have that is holding you back from taking advantage of the world's greatest market. It is that important. See for yourself what a difference a little diversification makes.